Parents pretend that their lives are fine. They talk about their education, their successes at business or the entertainment event of the day. Many parents, however, face huge problems at home. Outbursts of anger. Temper tantrums. Rage. Hateful, spiteful words. Mean actions. Cursing. Hitting. Yelling. And of course, horrible parent-child relationships and alienation. We would like to begin to address this teenage anger and rage in this article. Once a child reaches the teen years, problems that have been overlooked, often get out of control. These rage cycles can no longer be ignored. They are much too violent and dangerous. People tend to explain these problems away with a casual statement about the increase of hormones and the onset of puberty, thinking as if fits of anger are normal. The facts do not confirm this. God wants us always to act patiently and graciously. It is not a higher level of hormones that causes an outburst of anger and rage, but an evil heart that lunges forward to seize an opportunity to express itself. We are convinced that God has enabled His people to handle these situations. We must seek the Spirit of God to work through God's Word in our lives. The problem is that many so-called Christians no longer believe God’s word is relevant to their lives. They have left their faith behind often without knowing it. They drug their children with methylphenidate (ritalin) to hide their parenting failures. Or accept abnormal behavior as normal. The outburst of anger is not necessarily because of a parent’s neglect. When a teenager resorts to using anger regularly then it shows that parents did not rightly train the child when he was young. As parents we need to be much quicker to humble ourselves before the Lord to seek forgiveness for our failures and seek His help. (Do this now if needed). I have asked one parent who recently wrote from northern Canada whether I could share our short exchange with others who are asking the same questions. From this letter you can see the problem more clearly. From my response you can begin to understand how to handle such a difficult (some say impossible) situation. At the same time we suggest different links to free materials on anger resolution. Jesus told us that it is through the truth that people are set free. False beliefs and conclusions will keep us away from God’s powerful Word. Our goal is to release God's truth in such a way that people are set free from their problems to give praise to the Lord. We hope you find these letters helpful. The Mom has already taken some good steps and cares enough to go further. This is just the right attitude that we need as we come before God. Hello I am the mother of 4 boys. Been real burdened today over my eldest sons disrespect and terrible anger. He mouths, swears alot around home. I have a hard time to control it. He rages so bad that he pushes and breaks things. He was on Ritalin for 7 years and raged like this mostly when coming off it. Now he has to learn emotions without drug control. He did give his heart to the lord about 3 years ago. He has a good foundation from homeschooling and christian school. He is now in high school. He has ADHD and has learning disorders. There are no excuses for his action, we just need to understand him. I pray for deliverance all the time. Something has to be done. His anger is beyond normal. I made a Dr. appointment for Friday...but I hate medication as it only conceals the underlying issue or problem. What can I do. Dad also has similar problems. He has learned to control it bettter but now has health problems and is burnd out. He recently came through open heart surgery in February. There has been an awful lot for me, the mom, to deal with. I also have to be the leader. Not scriptural but, I cannot make Dad do it. It has to be God who deals with him personally. I would appreciate prayer and counsel. I downloaded a bunch of those papers and hope to talk with both my son and hubby about them. Neither one reads well. Do you have any cds or videos on these subjects? We really care for such people. The Lord cares for them. No Christian needs to fall victim to anger. Those caught in cycles of anger are much like alcoholics who directly and indirectly hurt others. Each of us has a much higher calling to love, kindness, and all the fruit of the Holy Spirit. Here is my reply (somewhat modified and expanded for this web page) to help a child, a son or daughter, overcome anger. Handling angry children is different than helping angry spouses and other people but some aspects are certainly the same. I appreciate your attempt to curb the anger in your son and family. I have a few things to suggest. 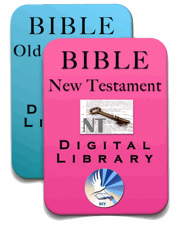 I am not sure what material you have read on anger from the Biblical Foundations for Freedom website. There are a few series of material on handling anger in general and a specific material on handling teens. Some of these later ones also refer to anger. I will refer to these later. They are free online. Copy, edit, translate and print. You can even pass them around. First of all, I agree that medication only hides the problem. Unfortunately, these drugs, by nature, deepen the misunderstanding that keeps people from solving the anger problem. That is, when a person takes medication, he believes or assumes that his problem is chiefly a chemical problem rather than a moral or character problem. Without accepting one’s own responsibility, there is no solution. Drug treatment is inhumane in this sense. God wants people to see their pain and turn to Him to find healing. His way is much better. Without much support, you might have to start off that way (with drugs). Lead your son to be a godly man through teaching and training. Hopefully, the drugs can be avoided. They greatly interfere with the teaching process. We need clarity of mind not fogginess. As you read through the material, you will better understand anger and then understand how to handle it. It seems that the training has already begun. Good for you! Some have not started yet, and it will be much harder, though by God's abundant grace not impossible. I would first suggest to work through some of these materials (first instructions) before starting medicine. You can of course still meet the doctor but not start taking the medicine. It is a good object lesson. (You can be doped up through life in a dishonoring way or learn how God can work marvelous things in your life). our son has a choice. The choice itself is a result of God’s marvelous work in the Gospel through Jesus. God wants to do tremendous things in your son's life. He has, from what you have shared, learned how to respond with anger and manipulation through his dad’s example. This high stress life often affects a person's health such as in high blood pressure, though I am not sure it was connected to your husband's heart problem. The most important thing is to set before your son two choices. (I write as if to him here). 1) Obedience with blessings and testimony. You humbly seek God's grace in your life to live the way a godly man should. You have every hope to see God not only control your expressions of anger but to start to live from the love that He has put in your heart. 2) Disobedience with great consequences. You will continue to live without belief that God can help you. Your life will be miserable and you will continue to suffer and hurt others until you wake up to see and repent from your sin. He is old enough to see these choices. You should explain that you would like to work beside him, but you are to both work together seeking the Lord's help. It is His extraordinary grace that will make such a change. He will need to be deliberate about seeking this grace from God. Set standards. The sentence in your letter 'his anger is beyond normal' is quite inadequate. Instead 'all anger is sinful' (I will not discuss righteous anger here because it is not in view). He has to see that anger does not accomplish the righteousness of God but is largely a manipulative tactic to get what he wants. He will learn to wait on God for His strength and timing for what He wants. Your son has to see why God is so against anger and why God calls it a sin next to murder (see Matthew 5:22). Much can be said but I must be brief. You can read the articles to get a more complete understanding of the nature of anger. Remember that sin, including anger, is always twofold. Sin is the evil things that we do and say to others. Sin, however, also is evil because one neglects to do all those good things that God expects us to say and do but do not. If he can see his sin, you need to work out specific examples of how it is bad, then he can more easily humble his heart, confess and repent. Be as specific as possible (e.g. I slam the door shut). He must recognize that anger is not going to be part of his life because it is evil. He belongs to God and wants God's patience and kindness instead of the pain he has brought others just so that he can get his own way. He makes a decision by God's grace to be kind and patient thus seeking to bring about God's care and love into this world through his own life. If he can get this far and pray in commitment to conquer anger by God's grace, then I have much hope for him without any drugs. If not, he might not be saved and should point out the grievous consequences of seeking his own will in his own way. Yes, he has learned how to respond wrongly, but he has to accept responsibility for how he lives. Anger is a choice rather than just something that comes upon a person. It might seem like an uncontrollable urge or rage, but this is only because of a habit much like a child's temper tantrum. More is said in the materials below. Now let me refer you to a few web pages. There is no need for me to rewrite what has been written. I will introduce how different materials can help you in your situation. And by all means, keep praying! If you have a godly pastor, get him praying too. In the Biblical Parenting Principles book, I outline how little children learn anger. They have a seed of anger, but because of poor parenting it is allowed to grow. If children do not learn to properly handle their emotions, they learn how to use these emotions in order to get what they want. These wrong ways are easy to learn because of our sinful tendencies (being selfish). Developing Self-Control in our Children (Part 4 of parenting series). Purpose: Develop a scriptural perspective of the need for and the means of cultivating self-control in our children from an early age in order that they may live good and godly lives pleasing to God and focused on serving others. The training the parents give to their children enables them to tame those desires that would otherwise get out of hand. The more thoroughly the parent implements training, the better it is for the child. The seeds of their evil heart are essentially choked out. If left uncontrolled, these areas will grow and multiply like weeds. Self-control describes the process where by the child is trained to ignore these desires and live by God's principles. Those without self-control will be dominated by one or more 'thorns' and thus face more problems in life. The right diagram shows how two growing influences affect a child's life. They start interfering with normal life including education, friends, relationships with parents and of course their relationships with God. If they are not restrained at some point, they will destroy a person' s life. God uses the parent to control these foul desires. 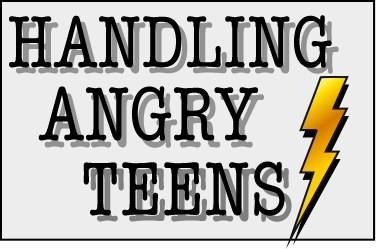 Lastly, we have some articles for handling teens with anger and other problems. Because anger and bitterness undermine the parent-child relationship, it often becomes the biggest problem that has to be dealt with. More general articles on how to help teens through their struggles. These articles are also on the parent-teen situation as above but more specifically on how anger develops and steps to resolve (get rid of bitterness and anger). God can help in amazing ways work through some of these things in a very short time. God has so much to say because He genuinely cares for us and has made a way to live beyond anger! God has personally taught me so much and am eager to see how our gracious Lord can also help your son. We will pray for you and your family. Most of these articles if not all are available in pdf format on the BFF Discipleship Training Library and the BFF Family Training Library. Check out the great number of articles on the BFF training Libraries.